My experience with laundry has been - clothes coming back with some weird smells, that too the best of them in fact. 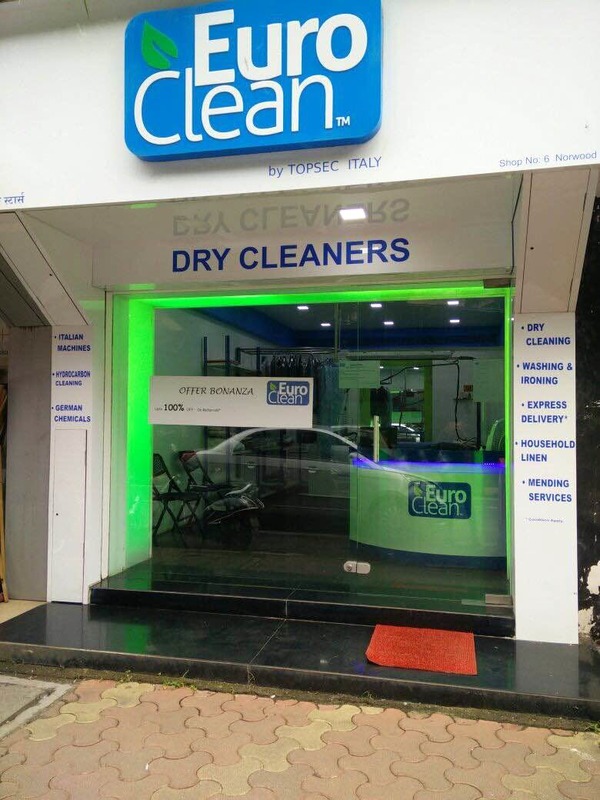 Tried this crispy clean looking laundry called Euro Clean in Lokhandwala. I'm a person who uses laundry a lot because most clothes need to be laundered these days. Checked out their prices they seemed pretty reasonable and the manager said they use European technology and products which are environment-friendly for laundry and dry cleaning purposes. They also mentioned that all clothes are cleaned as per wash care instructions in the garment. I gave my white garments - new one covered with some organic Holi colour and some other stuff which I wore to a wedding. I was extremely happy with the way my white came out since they had explained they will try to clean all the Holi colour and took my permission to bleach because I wanted it back white. All the clothes were clean and without any smell in neat stackable packing. I was informed that I had a choice to take my clothes on a hangar if I wanted to hang the clothes in my cupboard. For cleaning, I would give them a 5-star with a pleasant end to end experience I certainly recommend this place! Plus, when I gave my clothes I become a part of their customer loyalty program which gives me the benefit of discounts even when the store is not running them. You can take their pamphlet for the complete price list. They also do shoes and bags which I plan to try someday. Check out their free home/office pickup and drop facility. Understand They pick up free or at a nominal charge depending on bill amount and location and service most parts of Andheri Jogeshwari even Juhu. They have a kilo wash option with and without iron option which I found out for my clothes since sometimes clothes don't dry well it rains.They also have a steam iron service. Interested? Call on 022-66931213/22/+91-9819610984 for a quick pickup service.